In combat sports, there’s one goal that everyone can attest to striving towards: making the greatest amount of money in the shortest amount of time. One entity in that process is the promoter, the individual or group of individuals whose top charge is to convince the public that the men and women under contract are worth spending money and time to watch. That’s a pretty basic premise to understand. Yet what’s hard to understand is that the UFC seems to enjoy doing the opposite with fighters, a practice that undercuts its efforts from the very start. The company’s latest effort, UFC 215, is a few weeks away, and seems to be the latest example of this type of lackluster, often detrimental, promotion. UFC 215 is set for September 9 in Edmonton, Alberta, Canada. The event features two title bouts, both of which are important for their own reasons. 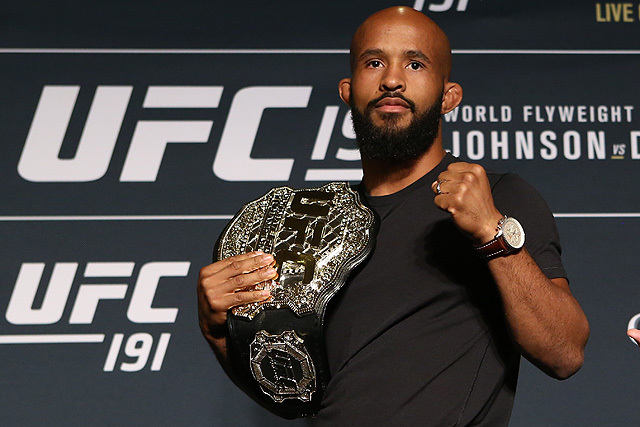 On one hand, Demetrious Johnson looks to defend his flyweight title for a record eleventh time, facing off against Ray Borg. 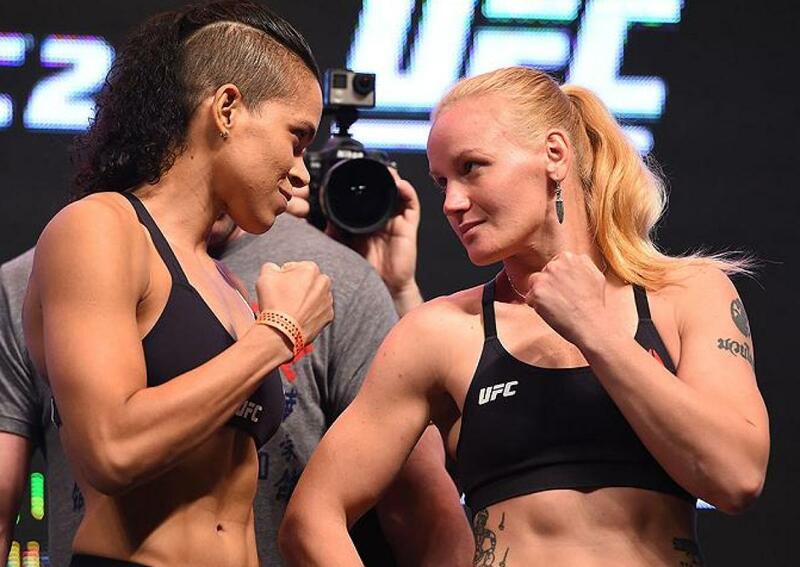 On the other, there’s Amanda Nunes, who looks to defend her UFC Women's Bantamweight Championship for the second time in a matchup against Valentina Shevchenko. 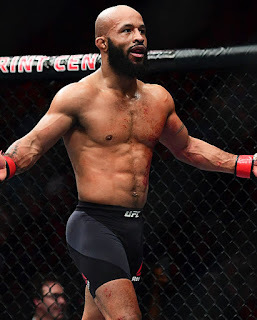 Unfortunately, incidents in recent weeks/months have created a firestorm, the repercussions of which have the UFC appearing to be looking to make examples of its champions, even though that hurts all parties involved. First, there’s Johnson, a man who’s been a champion among champions since winning the belt back in 2012. During that time Johnson has done nothing but stamp out contenders, remain off of the police blotter, and do all that he can to promote himself through all available channels. However, the results have been less than stellar PPV buyrates and a demotion of sorts; nowadays, Johnson is rarely the lead star on a PPV event unless injuries force other fights off the card. UFC 215 seems to be a slightly different situation, mainly due to circumstances out of his control. It started with T.J. Dillashaw and Cody Garbrandt. The two bantamweights were locked into a bout against one another, heading for a showdown that was originally scheduled for the July or August time frame. Unfortunately, Garbrandt was forced off the card due to a back injury. But instead of waiting for his title shot at 135 pounds, Dillashaw turned his attention to the flyweight title, calling out Johnson. 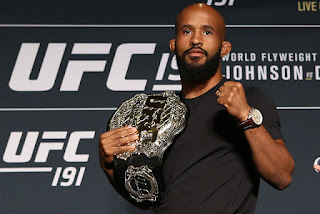 The UFC approached Johnson about the fight, but he rebuffed the idea, saying he wanted to break the title defense record against either Borg or Sergio Pettis first, and that Dillashaw should take a fight at 125 pounds to show he can make the weight. UFC President Dana White responded with vitriol, going as far as mocking the idea of a bout with Borg being a sell, and, according to Johnson, threatening to close the division. The battle was waged out in the public space, with neither side being declared a “winner” until an apparent peace was found behind closed doors. Then there’s the recent situation with Nunes. At UFC 213 she was set to headline the event against Shevchenko, a woman she’s defeated. The day of the bout Nunes cited medical issues and pulled herself from the card. Reports were that she was medically cleared for the bout, but a trip to the hospital forced her off of the card hours before the battle was supposed to begin. The response from the UFC was swift. White confirmed that she was cleared for the fight and even questioned the champion’s mental state. Fans turned on Nunes, failing to realize she’s talked about this ailment in the past, including before big fights. The fight has been rescheduled for UFC 215, and regardless of how Nunes feels before that night, she’s been put in a position where she has to step into the Octagon to escape criticism. With less than a month left before this card occurs, it will be interesting to see how the UFC promotes this event. The NFL is almost back, and the UFC has been successful in using that programming as an outlet to reach sports fans. There are important storylines to highlight around this event, from Johnson looking to cement his place in history, to Nunes trying to rebuild her credibility with MMA fans. Both champions have a lot to gain from the spotlight shining on them. But this isn’t about them only; Borg and Shevchenko also have a lot to gain at UFC 215. It’s counterproductive to put them in the position to win titles in an event that is promoted in lackluster fashion. That approach damages their overall drawing power and blunts any immediate impact they could have with wins at UFC 215. Nevertheless, there are still a few weeks left between now and UFC 215, which means there is still an opportunity for the organization to promote this fight card to fans. Time off after a busy summer creates a perfect space for everyone to catch their respective breaths and recharge their batteries for non-stop MMA action. Coming off that breather (albeit with a major combat sports event like Mayweather-McGregor in the midst of it), UFC 215 is the first pay-per-view event for the promotion to push as it approaches the end of the year. The UFC would do itself and everyone involved a major disservice if it’s not properly promoted soon. UFC 215: Johnson vs. Borg takes place September 9, 2017 at Rogers Place in Edmonton, Alberta, Canada.